Despite facing a myriad of challenges, many commentators agree that Africa’s path into the fourth industrial revolution will be driven by startups and a growing technology ecosystem. To say that the African tech ecosystem, and the Nigerian ecosystem, in particular, has grown in leaps and bounds is not an exaggeration. Based on findings such as Disrupt Africa’s African Tech Startups Funding Report 2018, Nigeria finally overtook South Africa as the market of choice for startup funding, with 58 startups raising a total of $94,912,000 in investment. Another major indicator of the growing Nigerian tech ecosystem is the rise of tech hubs, growing from 23 in 2016 to 55 in 2018. According to a 2016 World bank report, tech hubs in Africa are enabling the growth of digital technologies which help to drive economic growth through Innovation, Efficiency and Inclusion. As Community Manager for one of the leading technology hubs in Nigeria, the MEST Incubator Lagos, I have seen first-hand how these three areas continue to grow rapidly and the huge impact they can have on Nigeria’s economy. According to research by the Tony Elumelu Foundation, Innovation is on the rise on the African continent, particularly in Nigeria. It is often said that the shortest distance between two points is a straight line. However, where infrastructural challenges actively prevent the formation of that straight line, many Nigerian innovators have elegantly and meticulously drawn functional, curved lines. One obvious area is in the financial space, where orthodox thinking, risk aversion and infrastructural challenges had previously stifled the ability of the industry to meet 21st -century challenges. These challenges have included real-time payment processing, recurring payments and remittances, foreign exchange transactions and more. If FinTech companies have managed to attract the bulk of startup funding in Nigeria, it is because they have been able to demonstrate clear and viable solutions to problems such as these. Companies such as Flutterwave is one such example, now enabling merchants and vendors to accept payments from different parts of the world at speeds which before would have seemed impossible. Savings and investments platforms like PiggVest and Cowrywise have made it simpler for young Nigerians to save and utilize investment options at a much earlier stage of their lives than their parents. There are also emerging startups such as Vesicash and Nvoicia whose escrow and invoicing solutions respectively, seek to bring trust into transactions and enable vendors to convert unpaid invoices into cash. In the field of Agritech, crowdfunding platforms such as Farmcrowdy and Thrive Agric have given a greater number of people, especially city dwellers, the opportunity to co-own farms and make profitable investments in agriculture. As these and similar startups begin to grow and scale, they have the potential to move the needle as Nigeria grapples with diversifying its economy from a chronic dependency on crude oil. In spaces like health, efficiency is more than a buzzword. The speed at which medicines and critical health supplies can be delivered is often the difference between life and death. It is no wonder that this sector has seen the entry of some of the country’s most promising startups. Lifebank is being celebrated for bringing technology to bear against shortages in life-saving blood supplies in Nigerian hospitals. While it can be argued that they are chipping at the problem at their current scale, it is easy to envision greater impact as they grow and similar players enter the space. 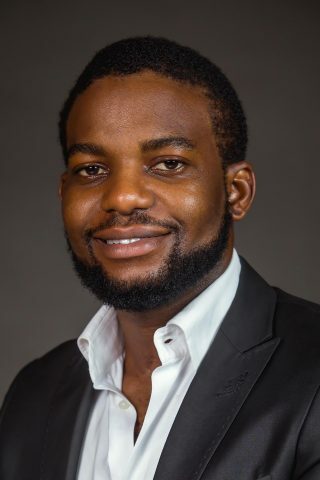 In the area of preventive medicine, a YCombinator 19 startup 54gene is seeking to change the way Nigerians view their health by giving them access to genetic testing at prices that were previously beyond the reach of the average Nigerian. These tests offer reports into Health, Nutrition, Fitness and Weight Loss, Carrier Status, Personal Traits and Ancestry. One of the most efficient things about this testing is that it is all done through saliva without needles and pain. This means that even those with hemophobia can now take these tests without fear. The growth of the Nigerian technology space has also mirrored the rise of the female tech entrepreneur. Several women have begun to emerge as leading founders in ways that only the rapid growth and development of the tech space could have made possible. In the developer space, women such as Ire Aderinokun are inspiring a generation of young women to believe that there are no limits to what they can accomplish in the tech space if they have the drive and focus to achieve it. CNN Hero Abisoye Ajayi-Akinfolarin received recognition for her work teaching girls from the Lagos city slums to code and build solutions with the potential to impact their environment. Another indicator is how cohort-based technology programs like the MEST training program have seen a considerable rise in the number of female applicants, with the current class of 2019 composed of nearly 40% women – a significant rise from our early days 10 years back where we saw only a few women applying for the program. The World Economic Forum predicts in its future of jobs report that cutting-edge technologies such a Virtual Reality (VR), Artificial Intelligence (AI), Internet of Things (IoT), Clean energy and Unmanned vehicles will create tens of millions of jobs and cause exponential growth in existing sectors while creating new ones over the next few years. These new technologies will birth new tech startups to solve even more problems in Nigeria and across the African continent. This points to the fact that despite all the hype, the technology space in Nigeria is very much still in its early days. But today’s indicators point to a big future for the sector and its impact on the future of the Nigerian people. Nosa Omusi is currently Community Manager for MEST Africa in the Nigerian space. A marketing professional with a passion for building successful brands, he previously worked in West Africa’s leading advertising group and was Marketing Director for a group of companies which he helped start, including RoadChef, Nigeria’s first and only 24-hour drive-thru restaurant. He is a member of the Chartered Institute of marketing and the Project Management Institute (PMI).